Layout: Recto is printed in black ink of approximately 55 lines. Verso is notable for its detailed illustration of human dissection. Originally printed in Basel by Joannes Oporinus, 1555. 1 leaf (printed on both sides) ; 40 cm. 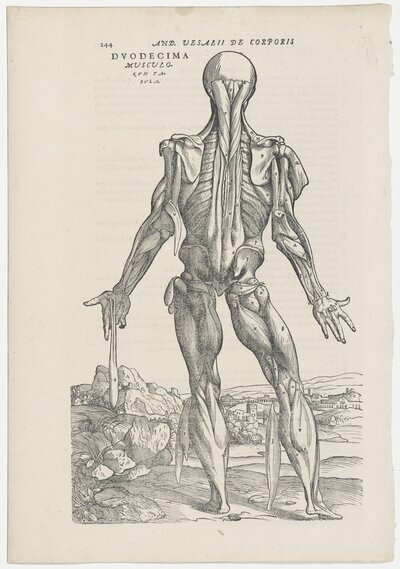 Muscles -- Anatomy -- Early works to 1800. Ligaments -- Anatomy -- Early works to 1800. Early printed books -- 16th century.